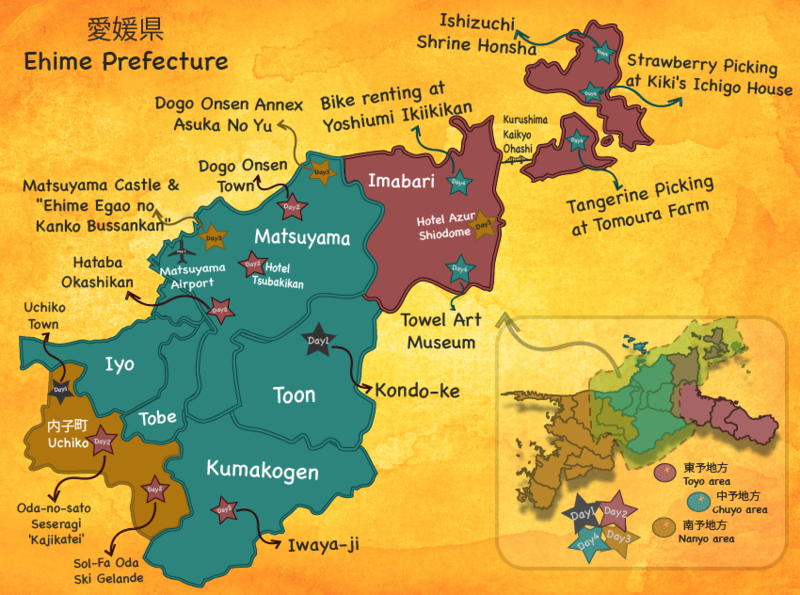 Do you know of Ehime Prefecture which is in Shikoku, Japan? In reality, it is where you can remain charmed even if you stay here for a week. This time, the FUN! 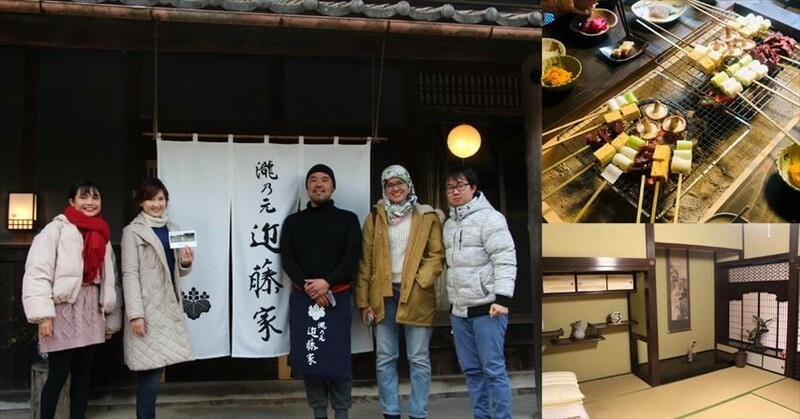 JAPAN Team visited the spot to make a 3 night 4 day course where all the charms of Ehime are packed. 9:00am Arrive at Matsuyama airport. First of all, there are three things which need to be done at the airport. No.1 Purchase Iyotetsu Unlimited Ride Pass "ALL IYOTETSU PASS"
At the same counter mentioned above, there are plenty of map and pamphlets. You can also access their homepage with the QR code. Get detailed information, double check the destination, and learn about tourist facilities here! 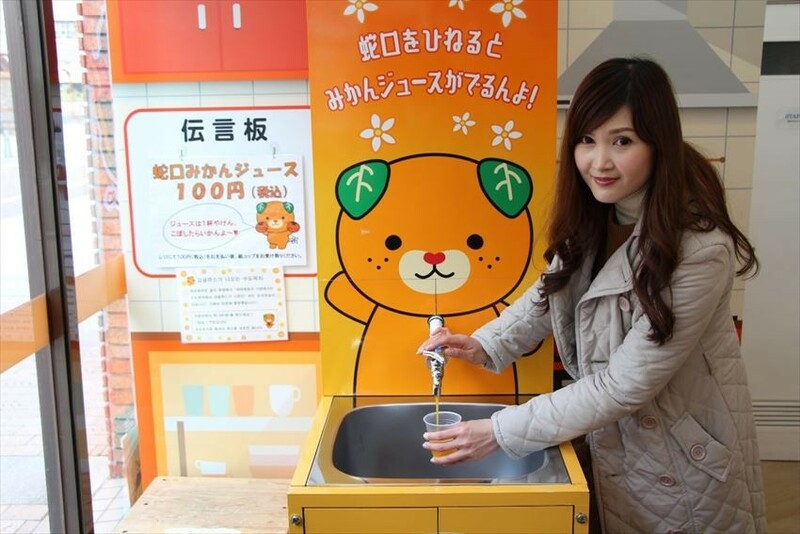 Quickly see the urban legend of Ehime Prefecture firsthand, a faucet where mandarin orange juice comes out! Firstly, go to Uchiko where you can enjoy the traditional Japanese streets. Leave the airport, turn left and you can see the Iyotestu Limousine bus. Take it to JR Matsuyama station. Then, take the JR Line Limited Express Uwakai (Uwajima Line) and get off at Uchiko. It takes about 50 minutes from the airport to reach the location. 12:00 noon Get dressed at "Uchiko no Wa". The plan is to have lunch and walk around the streets. Learn about "Uchiko no wa" here. 6.00 pm Dinner and lodging at Tsuki No Ya. 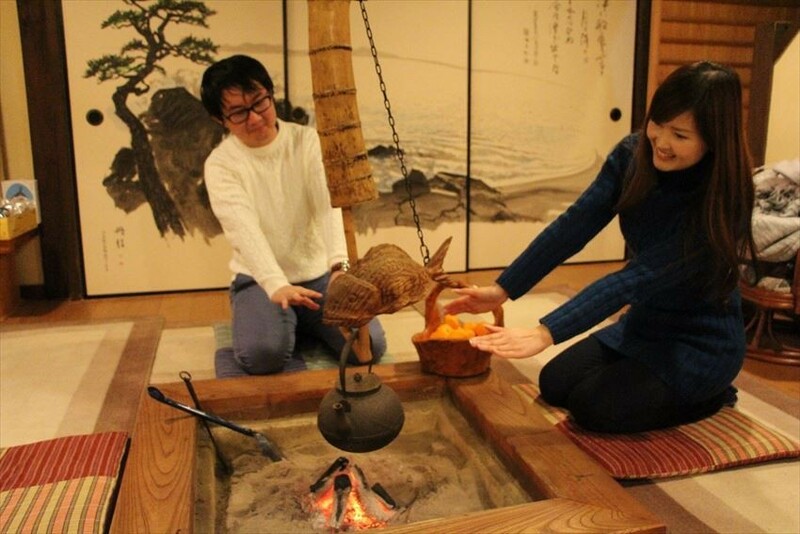 It is an inn where the traditional Japanese house is refurbished, so you can experience sitting around the hearth like us in photograph above. Read the introduction article for "Tsukinoya" here. 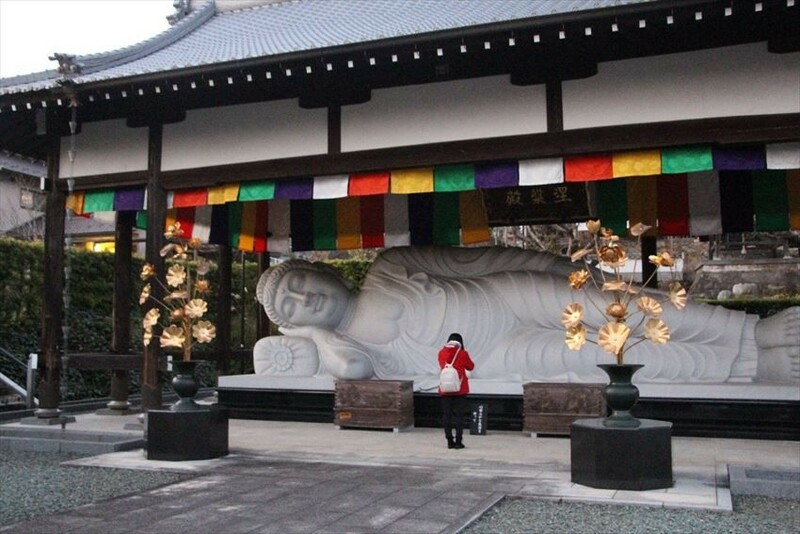 At Uchiko, there is such a large Reclining Buddha Statue at Koshoji (高昌寺). 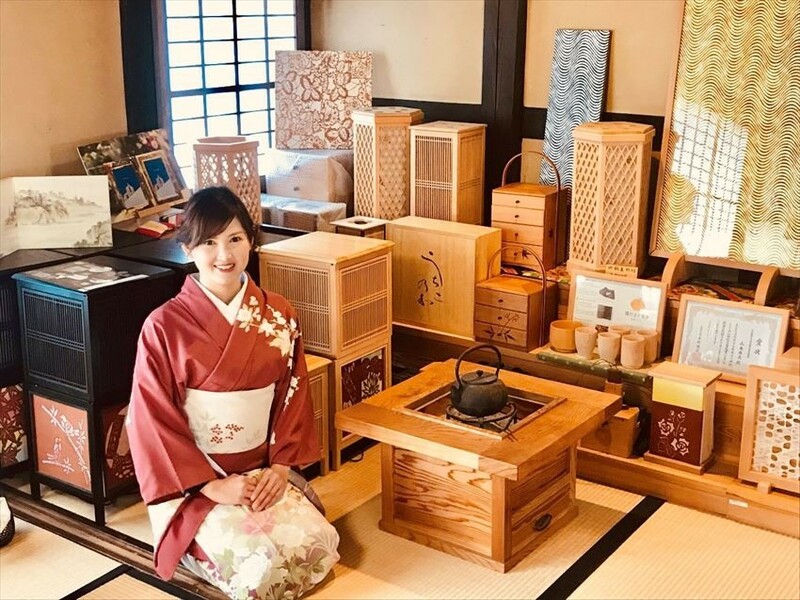 The stays at the traditional Japanese house have been increasing little by little over time. 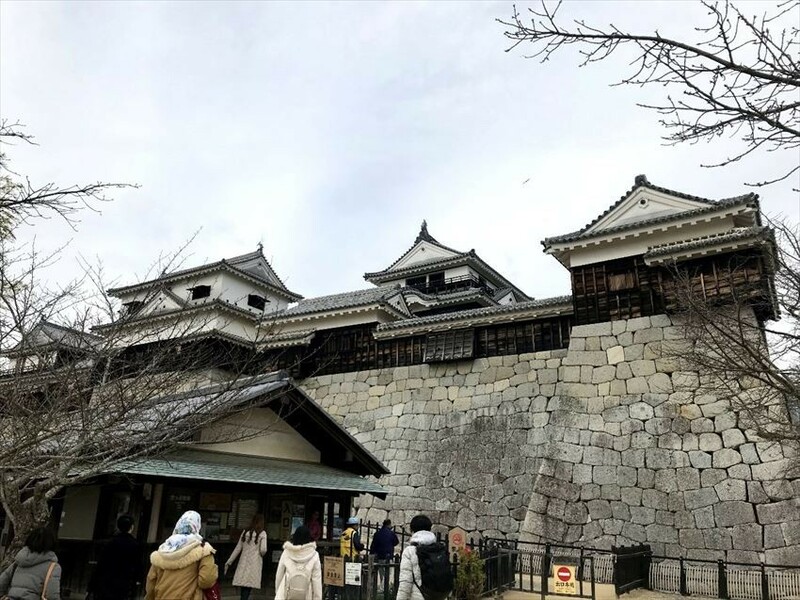 Another recommendation we have is the one named "Kondo-ke" in Toon city which is about 30 minutes by car from Matsuyama city. Move there by rent-a-car or taxi. Not only can you enjoy the beautiful nature of Ehime from the car window, it is a fun way to traveling too! 9:00am At the Sol-Fa Oda Ski Gelande, even inexperienced skiers can ski, play in the snow or slide on a sleigh happily. For more information about the Sol-Fa Oda Ski Gelande, click here. 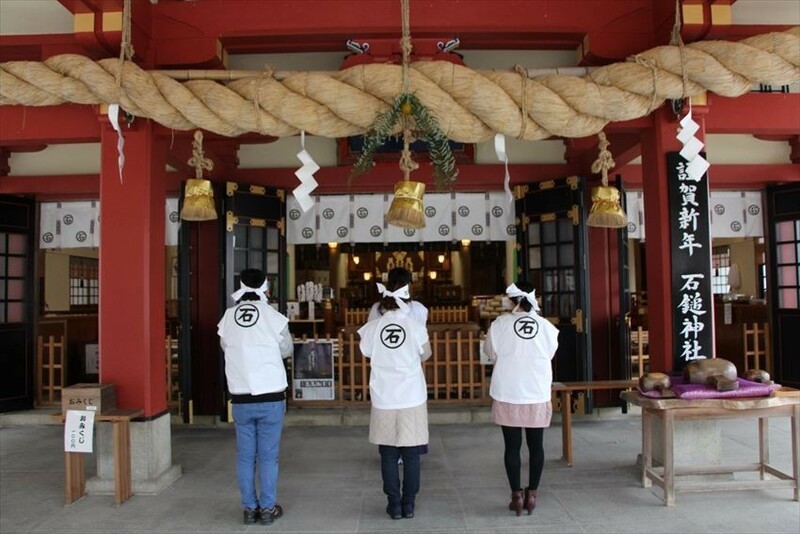 12:00 noon At the Roadside station Oda-no-sato Seseragi, 'Kajikatei', warm up with Oda's famous Tarai Udon. It is also a great spot for photographing a view from the window. 3:00pm If it's summer then it's a thick green foliage, in autumn then it will be the red leaves of the splendid Mt. Odamiyama Valley. Recover from stress as you look at the river with the special characteristic of colorful rocks for a while. 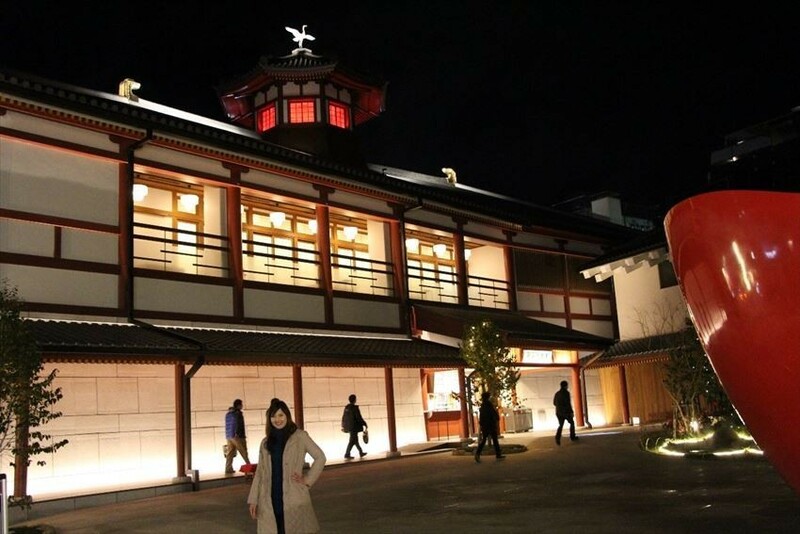 6:00pm Dine and stay the night at Hotel Tsubakikan in Dogo Hot Spring area. 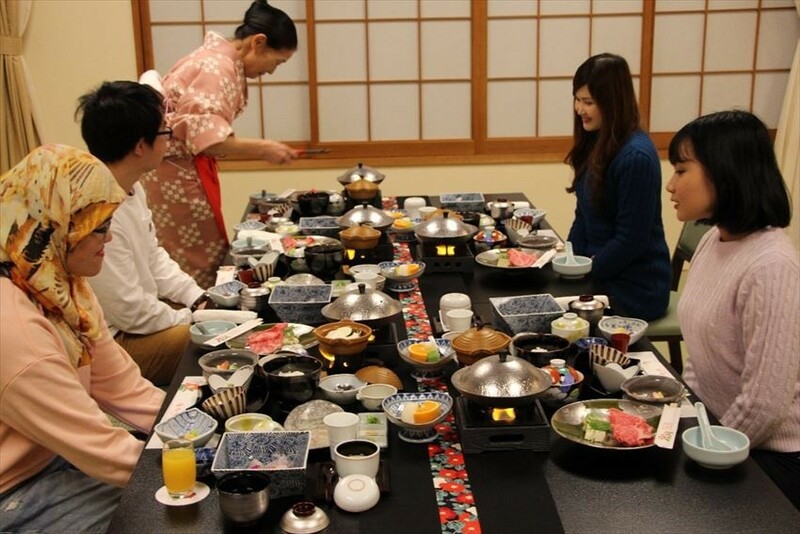 The staff dressed in kimono brought out beautiful dishes one by one. The cold meals remain cold, and the hot meals remain hot as they are served, so you will surely be able to eat the dishes at the optimum temperature for maximum deliciousness. This is a hotel where you can experience the sort of hospitality which is only available in Japan. For those who are active, you can stretch your feet and walk further here! As the name suggest, there seem to be a rock attached to Iwaya-ji (岩屋寺, lit. Rock-house temple). 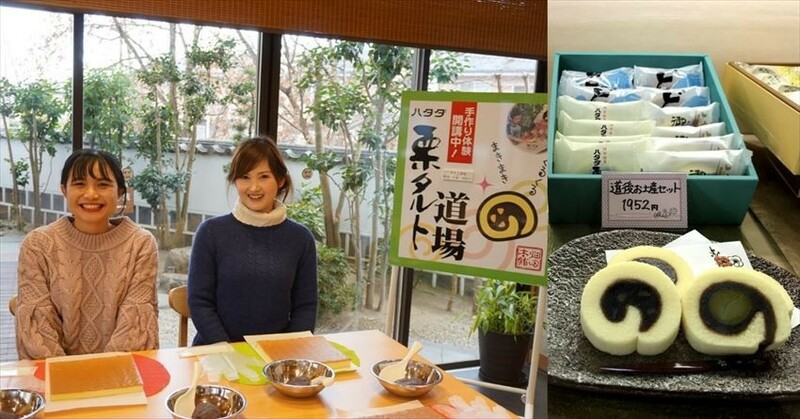 Experience how to roll a tart (a roll of sponge cake with jam inside) which represents Ehime at Hataba Okashikan. 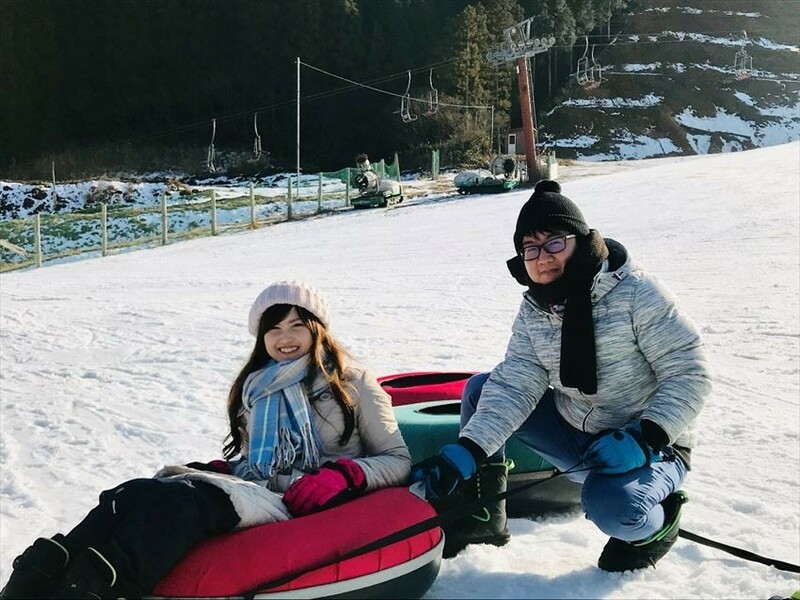 Towards Dogo Onsen Annex Asuka No Yu (飛鳥乃湯泉): We found out that you can wear clothes which are specially made for going into the hot spring here! 8:30am We departed from the hotel, pass through Dogo High Court Street and check out the event at Botchan Karakuri Clock at 9.00am. Take a brilliant photo of Enmanji from the slope for your social media channel! Depart from Dogo Onsen station at 11:59am ⇒ Take the Botchan train at 12:10 noon to Matsuyama station. 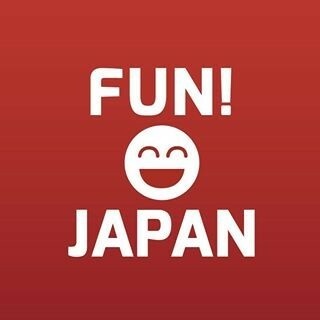 Learn more about this FUN! train! 1:00pm The lunch is the five coloured soumen at Goshiki. It is a luxurious meal where noodles are coloured in pink(ume plum), green(matcha), yellow(egg) and grey(buckwheat) natural colouring. Not just that, a grilled sea bream is included, too! 2:30pm We head towards Matsuyama Castle. If you have the time, make sure you try out the armor and helmet at the castle tower! 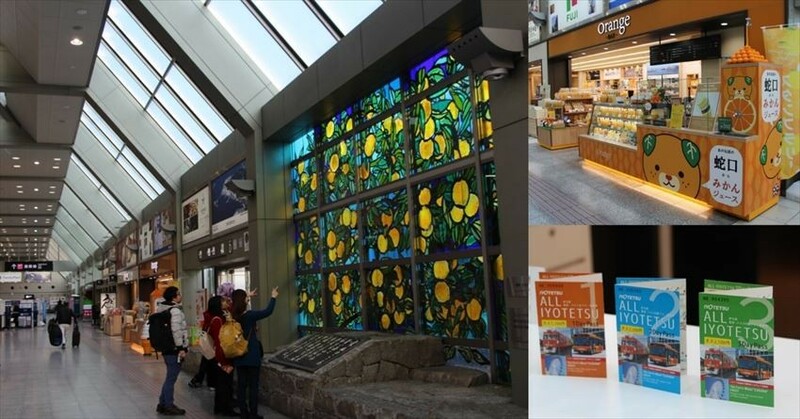 5:30pm Let's purchase some Ehime souvenir and enjoy Mikan or Tangerine Orange juice (only 100 yen!) from the faucet at "Ehime Egao no Kanko Bussankan". Then, from the JR Matsuyama Station (Yosan Line), take the train to Imabari. If you take the express train (add 1,070 yen if you want to book a seat) you will arrive there in 35 minutes. 7:00pm Dinner & Accommodation at the Round of Hotel Azur Shiodome. 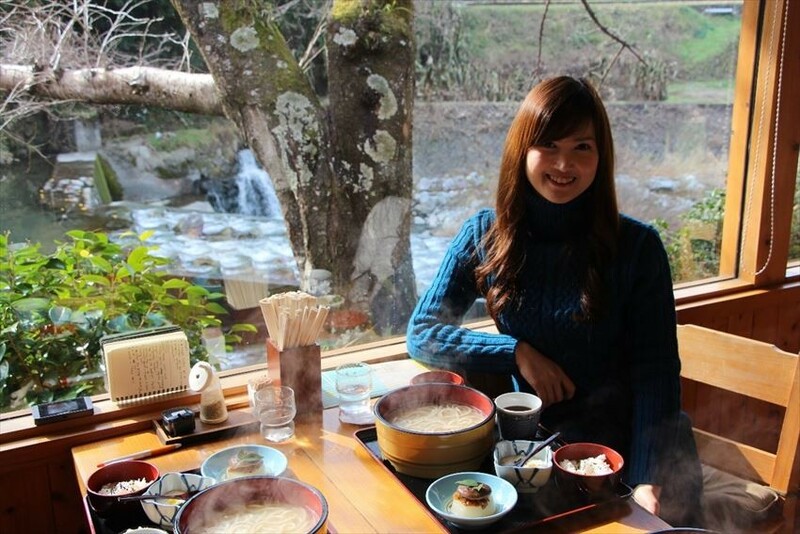 Here, you can eat 'Houraku-yaki' which is a lavishly baked fresh fish and shellfish. We heard that Japanese seafood doesn't have the seafood odor and that it is delicious. 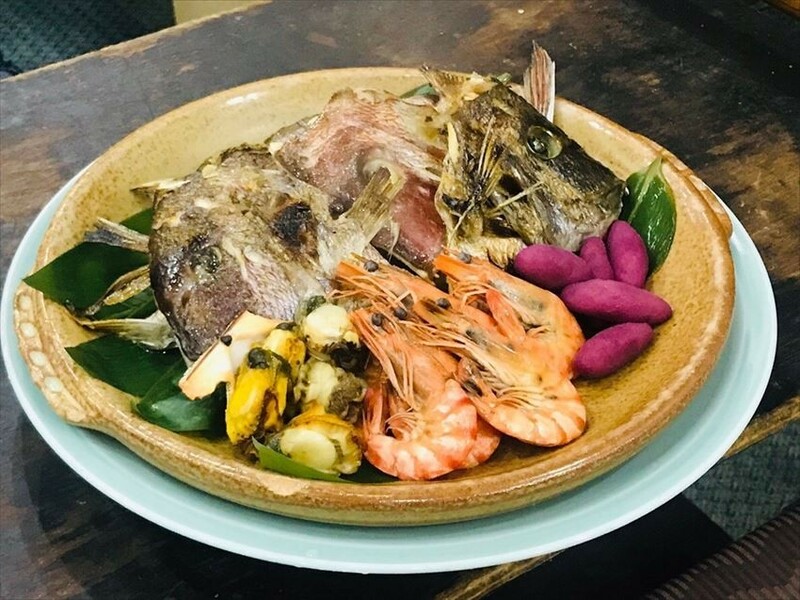 The white fish is thick and soft, plus the plump shrimp and shellfish are exceptional. 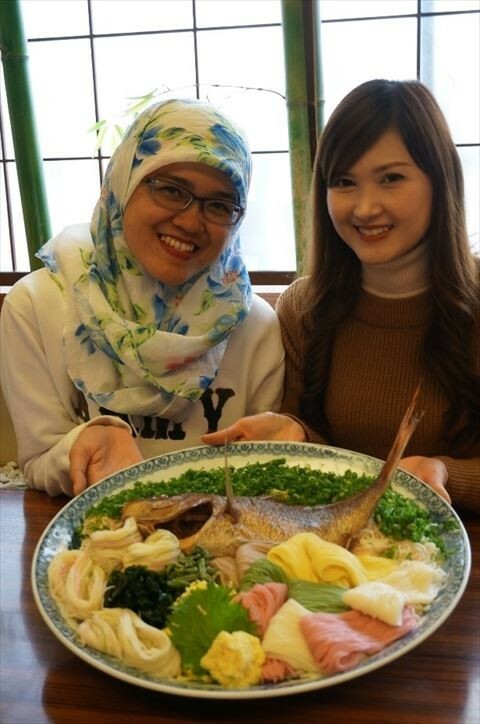 This kind of seafood is one of the unique charm of Ehime prefecture which is facing the Seto Inland Sea. 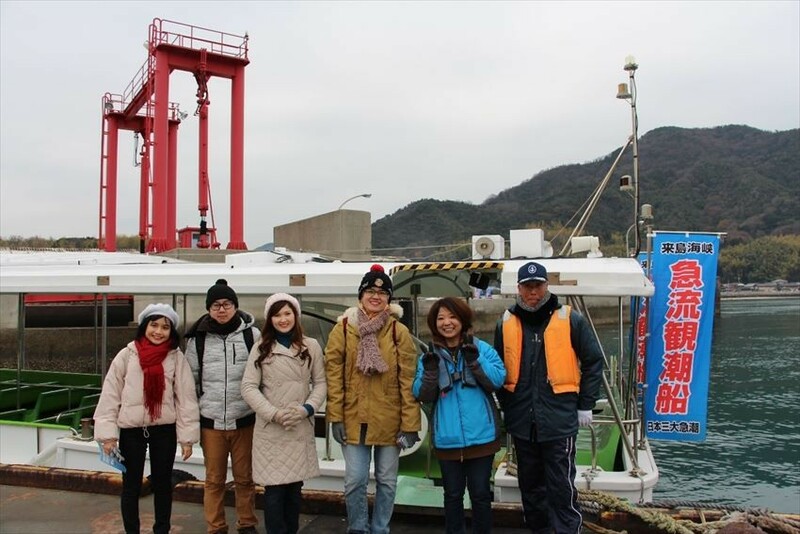 8:30am Depart from the inn, and ride the Kurushima Strait Rapid Tide-watching Boat. Buy the ticket at the Yoshiumi Ikiikikan. At this place, you can have a BBQ lunch, too! 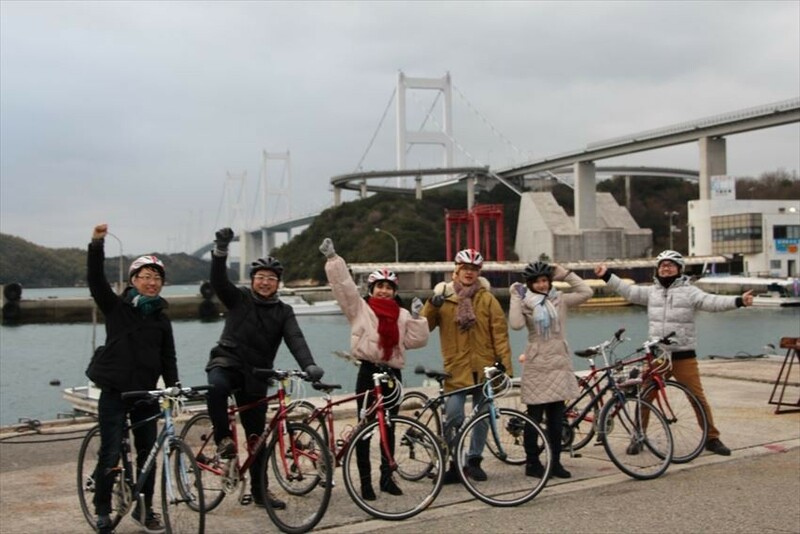 10:00am Rent a bicycle at the Yoshiumi Rental Bike Terminal next to the yoshiumiikiikikan and start cycling! Read more about it here. 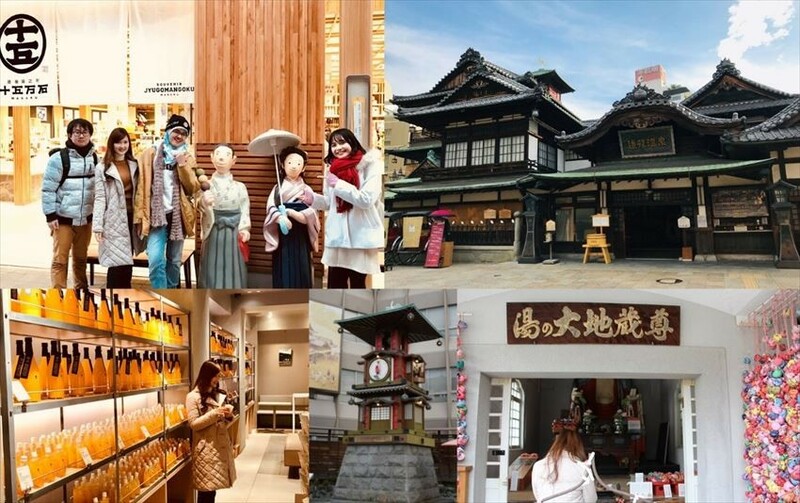 Also, we also recommended this to those who wants to experience the unique side of Japan, too! 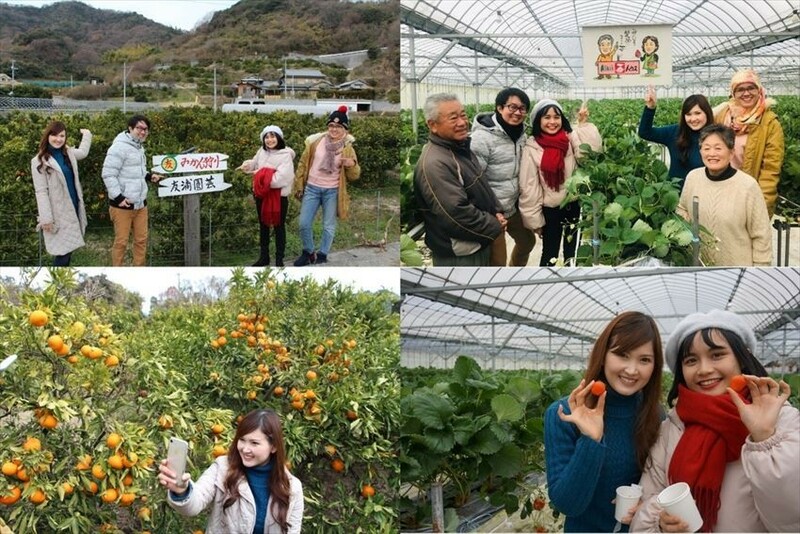 Hunting for strawberries or Mikan (tangerine oranges), it is an all you can eat fruity activity! Ishizuchi Shrine Honsha (石鎚神社) you can try out the sea snail shell, hand-copied sutra, white Japanese clothing, so remember to stop by. 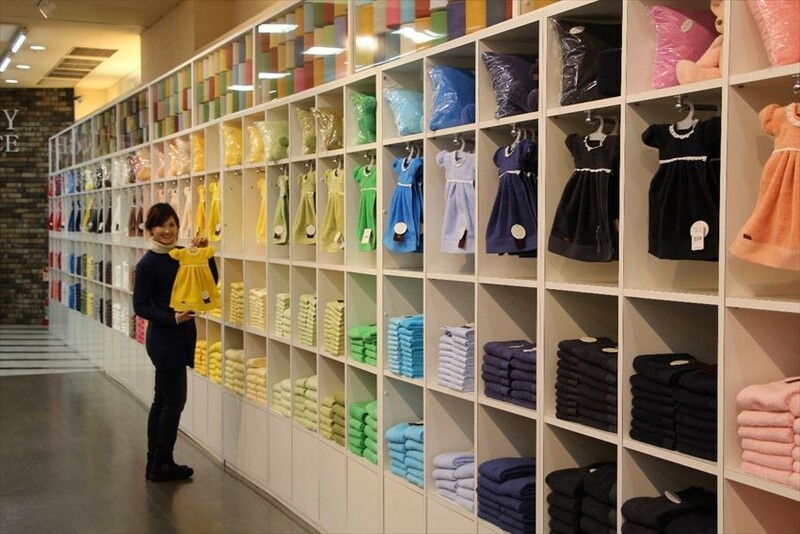 Imabari is a famous place for producing towels. Make sure you don't miss the the towel art museum where you can see many towel with different designs or uses all in one place. Here, our journey ends. We head towards Matsuyama Airport, to ride the plane back to our home country. 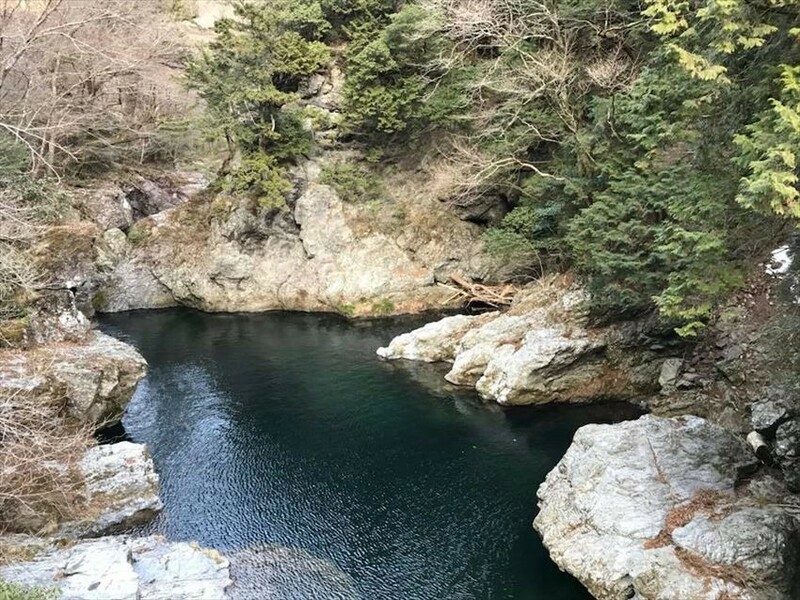 There are still charming spots in Ehime, but since we are only able to fit this much into our article, look forward for the next round!